Susan is our Receptionist and Legal Assistant to Erik Weber, Neal Blythe and Zachary Lightner. She has always worked in the legal field and enjoys working with the public and directly with our clients. A majority of her duties involve the Bankruptcy Department and assisting those clients. 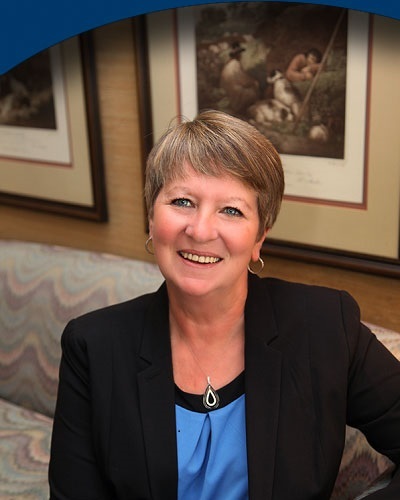 Susan was born and raised in Auburn and is a loyal Hoosier fan to the Indianapolis Colts, Indiana University and Notre Dame. She enjoys spending her spare time with her children, 6 grandchildren and walking with her border collie.